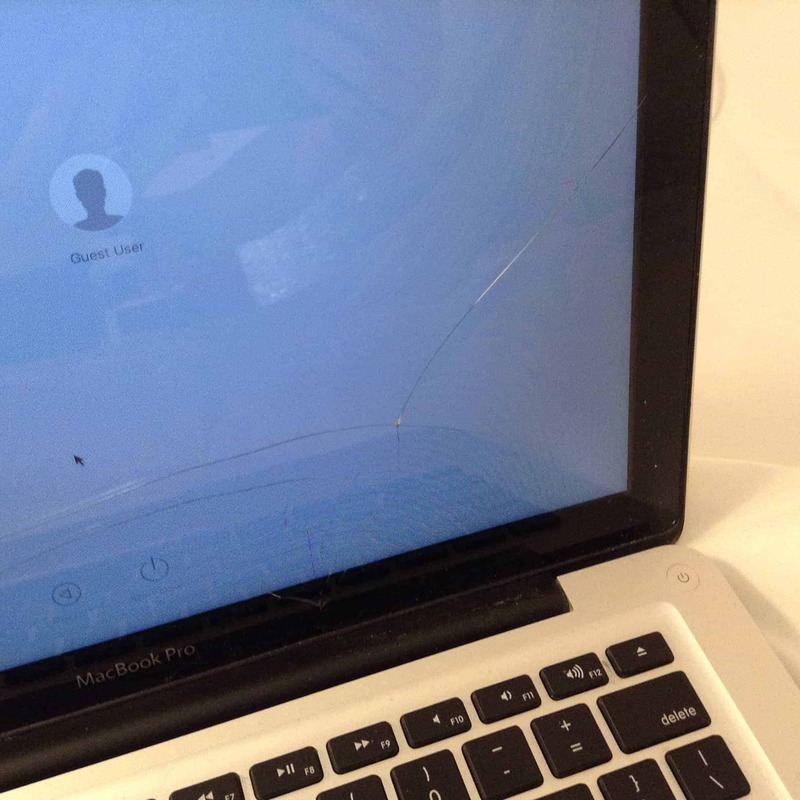 This is a great example of a glass only crack on a MacBook Pro non-Retina model. This 13 inch MacBook has clear cracks across the screen and bezel, giving the look of a cracked windshield in front of the screen. The LCD display underneath looks normal. On this model we are able to replace just the glass, fixing the damage to the screen for under $200. Do you need your MacBook Pro display repaired? We offer both LCD and Glass replacements for MacBook Pros. Take a look at our pricing on our MacBook Pro Display Repair page.